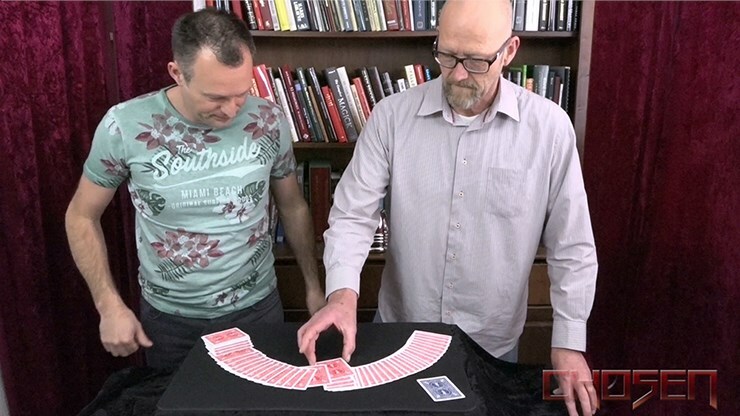 Chosen, by Ron Timmer and MagicfromHolland, is a card trick that is so diabolical, it could fool even the most famous magicians on television. 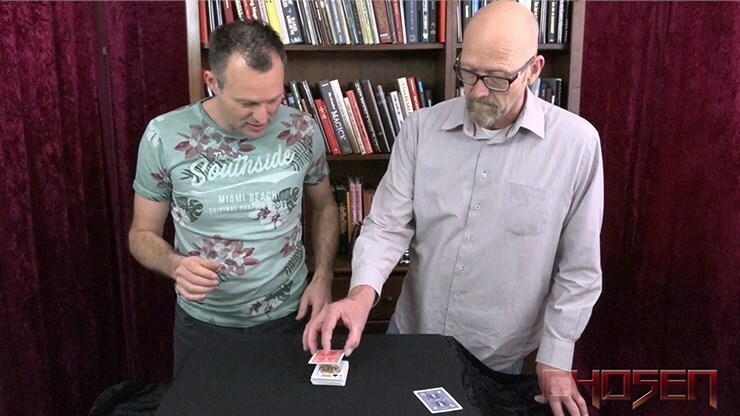 You show your audience a prediction card at the start of the effect and place it aside or hand it to a spectator for her to keep. Your spectator then freely selects any card from a regular shuffled deck. Without looking at her card, she places it face down in the center of the face up deck. This card will now be recognized as her chosen card. The spectator DID turn over just one card in this deck... you slowly spread through the cards OR let your spectator make the spread and the spectator can remove the ONLY turned over card, only to find out it matches the prediction PERFECTLY! 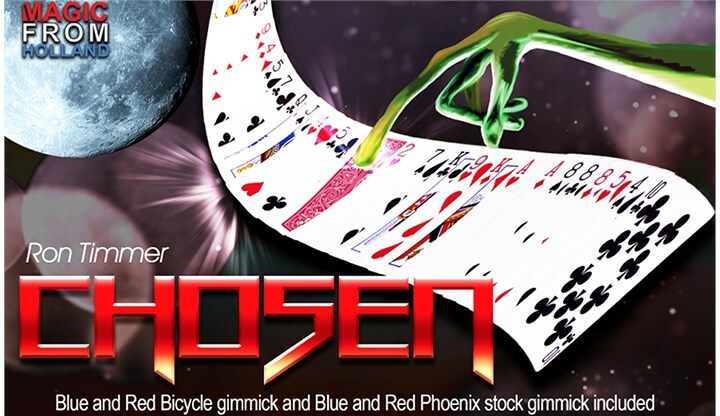 Chosen comes with special Bicycle AND Phoenix gimmick (both red and blue). 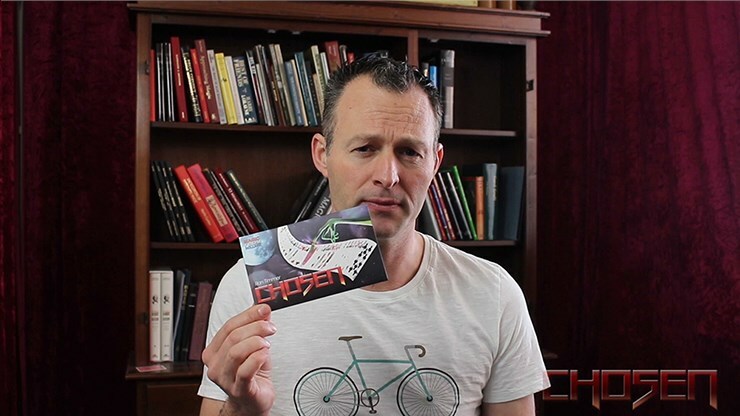 Use your own Bicycle or Phoenix deck! Online instructions with bonus handling/effect.